Perez is the developer behind 'Elusive' a cheat program that allowed players to get around the games rules by creating their own currency and interfering with other, legitimate players. 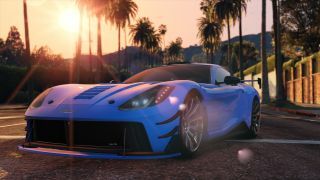 According to a report from Torrent Freak, Take-Two, Rockstar's parent company, contacted Perez to cease the distribution of Elusive, which was on sale for $10 - $30, depending on the package. While Perez did comply with the request, further attempts to contact him were met with silence, prompting Take-Two to take the case to court. While it's reported that Take-Two would have been 'open to negotiating a settlement,' Perez' continued silence prompted them to file for the default judgement which, in the case of copyright infringement, has the maximum statutory damages amount of $150,000. Almost $70,000 of legal fees were also added. "Mr. Perez’s Elusive program creates new features and elements in Grand Theft Auto which can be used to harm legitimate players, causing Take-Two to lose control over its carefully balanced plan for how its video game is designed to be played." US District Court Judge Kevin Castel writes in his order.